Perhaps I should be doing other things but yesterday and today I have spent some time trying to share the Gospel by posting comments in online stories in major newspapers in Canada and the USA. This is not about tooting one's horn in any way. It is about a call to action - an opportunity to seize - a freedom we are enjoying in North America just now of which Gospel-minded believers need to be aware. You can go after lost sheep sitting in your armchair with your computer on your lap. Do your homework. Google the top three online newspapers. Go to their sites. See if they allow comments below the stories they post. If they do, then register your name for free and save your password. Visit that site daily and scan the headlines for stories that might give you an opportunity to make a brief comment regarding God, His Word, Christ, salvation, eternity, satisfaction, sin or whatever would be a relevant comment - directing a reader's attention to a spiritual application. Be tactful and not too preachy. Don't tell them all you know in your first comment. Whet their appetite so they will say: "Now that person has a point." or "Ummm, that person's comment gives me cause to pause." Yesterday the tragic death of Bernie Madoff's son Mark was in the news and people were commenting freely on how much they hated Bernie Madoff for his horrible crimes. The above link and a brief comment was inserted into several USA online papers and 100+ readers copied the link and went to the story on the website. This is even better than giving out 100 tracts. These are people who took the time and effort to search out the story about someone who still loves Bernie Madoff. Today, Canada's large National Paper (The Globe and Mail) is featuring a 5-day series on the Decline in Religion and the Swing to Secularism. The comment section is open to all. Atheists and secularists and pagans are expressing their views. Where are the Christians to make their gracious comments of the reality of God in their life and the transforming power of a relationship with Christ? There are many reasons why we may not be able to spread the Gospel in various ways. Perhaps we can't speak publicly or get tongue-tied even trying to share Christ with a neighbor. Maybe we can't afford Gospel DVDs or CDs or tracts to give out. Perhaps we are scared of dogs and can't knock on doors. 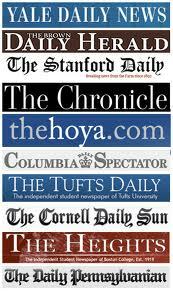 But Online Newspaper Witnessing - is something you can do from your living-room or kitchen table free of charge. These are just a few. Your own online newspaper may allow comments and links. I am stressing links because they allow the reader to dig deeper if your comment sparks their interest. But even if you can't leave a link, you can nearly always leave a comment and a Scripture Reference. Most online newspapers allow you to leave comments. Maybe you are somewhat bound to your house and you are not as active outside your home as you would like to be. Here is something you can do and you can reach more people than you could ever reach by personal encounters. With the Lord's help, you could turn your computer into a powerful Gospel tool reaching thousands. You? yes, you! If you would like more information on this opportunity, email me.